Massage involves working and acting on the body with pressure – structured, unstructured, stationary, or moving – tension, motion, or vibration, done manually or with mechanical aids. Massage can be applied with the hands, fingers, elbows, knees, forearm, feet, or a massage device. Massage can promote relaxation and well-being. If you’re needing some relaxation time to de-stress during the school holidays or just fancy some 'you time' there are a number of spas in the North East on hand to help you unwind. The Ocean Rooms, Hilton Newcastle/Gateshead situated on the banks of the Quayside in the popular hotel, the Ocean Rooms offers some peace and tranquility from the busy city centre. Packages include half and full day spa breaks, hen do and maternity packages, waxing, tinting, tanning and lashes and deals tailored specifically to male customers. City Retreat, Jesmond, A stone’s throw away from the centre of Newcastle, this could be a great option for some chill out time after a busy day of shopping or night on the tiles. Treatments range from massages, luxury manicures and pedicures to non-surgical face and body lifting with packages including Business Express, Top 2 Toe and The Perfect Pamper. Malmaison Spa Newcastle is the perfect place to wave a white flag and bid an office retreat to a world of calming therapies and peaceful treatments. Be whisked away to your personal space haven at the Quay. The city centre has never felt so far, far away. Body & Mind Massage in the city centre of Newcastle Upon Tyne located in a historical "Grade 2 Listed Building", they provide the very best in authentic massage, starting from as little as £25. Unlike hotels and spas who provide a range of products, they specialize and excel in one thing only – massage. For treatment of aches and pains or simply to relax and de-stress, they pride ourselves in delivering the best massage in the North East. All of their masseuses are qualified to UK standards, and our massage techniques originate in the world famous Wat Po Temple Massage School in Thailand, considered by many to be the home of Thai Massage. 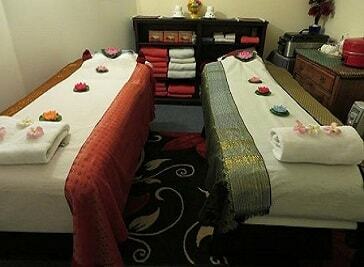 Ruen Thai Massage & Spa Newcastle opened in 2014 to offer a wide range of professional massage treatments at competitive prices for male and female customers from throughout the North East. Our comfortable spa is located in an elegant nineteenth-century property in Jesmond, with easy access from Newcastle city centre and free parking close by.